At the end of the Giffre Valley, set in an area of outstanding natural beauty with the magnificent ‘Fer à Cheval’ and its wonderful waterfalls and natural reserve, Sixt Fer a Cheval is still largely unknown outside France. However years ago the well known climber and founder of the Alpine Club, Sir Alfred Wills, made Sixt his base for discovering the area and built a chalet in the village. Home to stonecutters since the 15th century, it holds France’s ‘prettiest village’ label. Life is centred around the 12th century Abbey and is quite simple – a few shops, post office, mini-market, a few cafés and restaurants and a bakery that makes some ‘sinful’ cakes. At 6.30pm every Sunday the Tourist Office invites visitors to enjoy a welcome drink of ‘vin chaud’ while on Thursdays there is tomme cheese making at Cash’ta. 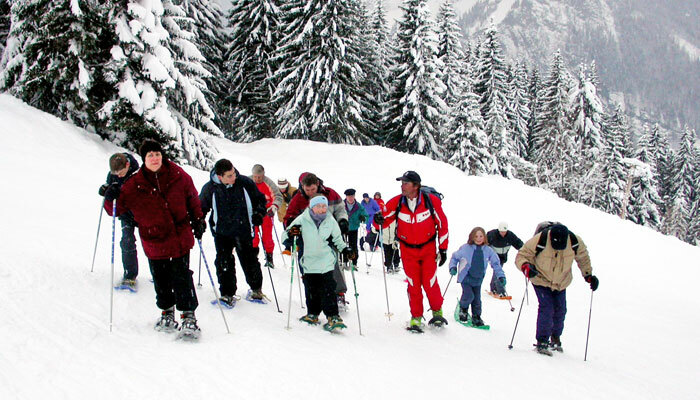 Wonderful walks, snowshoe outings, dogsledding, a challenging ‘via-ferrata’ (a type of ladder fixed directly onto the rock), ice climbing and village discovery visits, are also available. There is a regular ski-bus service from Sixt to Samoëns and Morillon. Sixt Fer a ChevalSixt Fer a Cheval Sixt has a small and uncrowded domain with a mix of slopes for all abilities. It is linked to the massive Grand Massif (265 km of pistes) and it is possible to ski back from Flaine to Sixt Fer a Cheval via the very scenic 14km ‘Cascades’ blue run (just go to Samoëns or Morillon via the regular free bus service. Alternatively try Les Gets and the wider ‘Domaine du Soleil’. 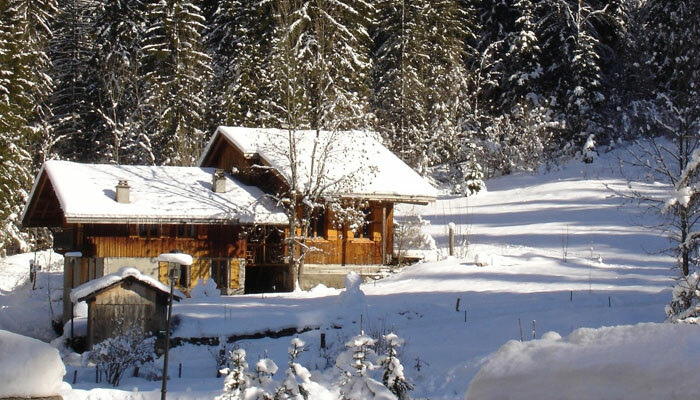 Cross-country skiers will love the stunning tracks around the waterfalls of ‘Fer à Cheval’. There are more than 60km of tracks in the area or enjoy superb views of Mont-Blanc from the 30 km of tracks at Joux Plane at 1700m. In Sixt Fer a Cheval you have a few green runs accessed via drag lifts and then a further few blues to progress on. Otherwise skiing in Samoëns with it’s excellent nursery slope area at 1600 for beginners. The area is separated from the other parts of the ski area, to enable users to ski in complete safety. The restaurant terraces overlooking the pistes enable you to relax while keeping an eye on your children. In Sixt, there are 4 blue and 4 red slopes. Otherwise intermediates and boarders will enjoy the 49 red pistes and 15 black pistes of the Grand Massif. The Grand Massif itself has extensive intermediate slopes with big lift networks. In Sixt there is only one black slope. But the more advanced will find plenty of testing terrain within the Grand Massif domain. The steep north-facing mogul slopes from the Tête des Saix, the central point of the entire Grand Massif system, down to Samoëns are particularly enjoyable. There is also extensive off-piste in various parts of the Grand Massif.